Combine cheese and butter in the bowl of a mixer. Add vanilla. Mix well. Add powdered sugar, one cup at a time until icing reaches desired consistency and taste. 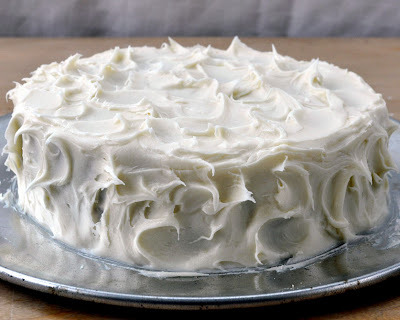 Add the milk only if your icing is too thick. Store in the refrigerator. Bring to room temperature before spreading on a cake or using in cake balls or cake pops.